Israeli occupation forces seized Mohammed al-Qeeq, 34, Palestinian journalist and former long-term hunger striker, on the evening of Sunday, 15 January at the Beit El checkpoint north of Ramallah. Fayha Shalash, al-Qeeq’s wife, said that the occupation forces delayed and detained a number of families of Palestinians killed by Israeli forces and former prisoners at the checkpoint as they came from participating in a demonstration in Bethlehem for the return of the bodies of the martyrs held captive by the Israeli occupation. Most were released after around 45 minutes, but al-Qeeq was separated from the others, arrested and transferred inside the Beit El settlement and its interrogation center, Shalash told Asra Voice. She also said that he had stated his intention to begin an open hunger strike if he was seized by occupation forces. 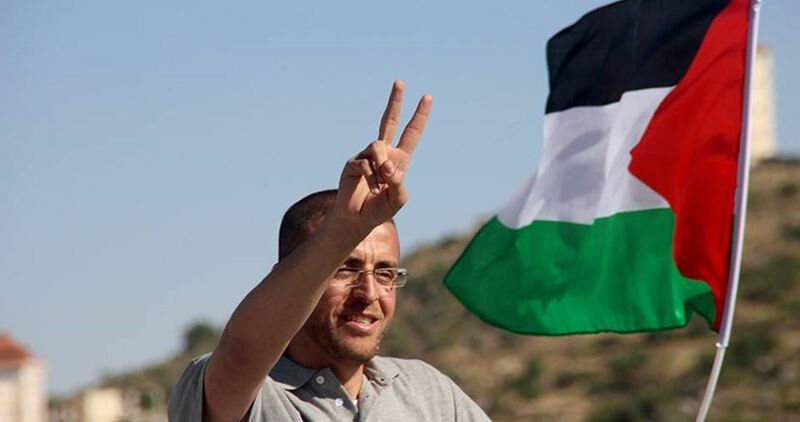 Al-Qeeq remains imprisoned now in an unknown location. Al-Qeeq engaged in a 94-day hunger strike against his administrative detention without charge or trial, winning his release in May 2016. He has continued to be a visible leader and participant in defending Palestinian prisoners and demanding their freedom. Al-Qeeq is one of over 20 Palestinian journalists currently imprisoned by the Israeli occupation, including Omar Nazzal, member of the General Secretariat of the Palestinian Journalists Syndicate, held in administrative detention without charge or trial. Fellow long-term hunger striker and former Palestinian prisoner Khader Adnan spoke in response to the arrest of al-Qeeq, calling for the escalation of actions and calls at all levels against the ongoing attacks by the occupation against released prisoners and the suppression of the prisoners inside the prisons. The seizure of al-Qeeq came among the arrest of 20 Palestinians by Israeli occupation forces on late Sunday or early Monday morning, most in the Ramallah area. Among those arrested was Palestinian Legislative Council member Ahmed Mubarak. Mubarak’s seizure by occupation forces brings the total of PLC members currently in Israeli prison to 7; he joins PFLP General Secretary Ahmad Sa’adat; Fateh leader Marwan Barghouti; Mohammed Abu Teir, exiled Jerusalemite PLC member; and Hassan Yousef, Mohammed Jamal Natsheh and Azzam Salhab, all held in administative detention without charge or trial. Also arrested in this series of raids were writer Walid Hodali of el-Bireh, Sheikh Ibrahim Abu Saba from Beitunia, Sheikh Falah Abu al-Taher of el-Bireh, Omar Barghouthi from Deir Ghassaneh, Mohammed al-Barghouthi of Bani Zeid, Mohammed Qar’an from Beitunia. Former prisoners Shuja’a Darwish of Birzeit and Jihad Karajeh of Saffa were also seized, as were Mohammed Dahlah and Yousef Alayan of Budrus, Louay Nazir of Kobar and Saeb Fahmi Abu Salem of Rantis. In Beit Ummar near al-Khalil, Abdel Nasser Abu Maria, 18, a former prisoner, was seized by occupation forces, blindfolded and taken to an unknown destination. 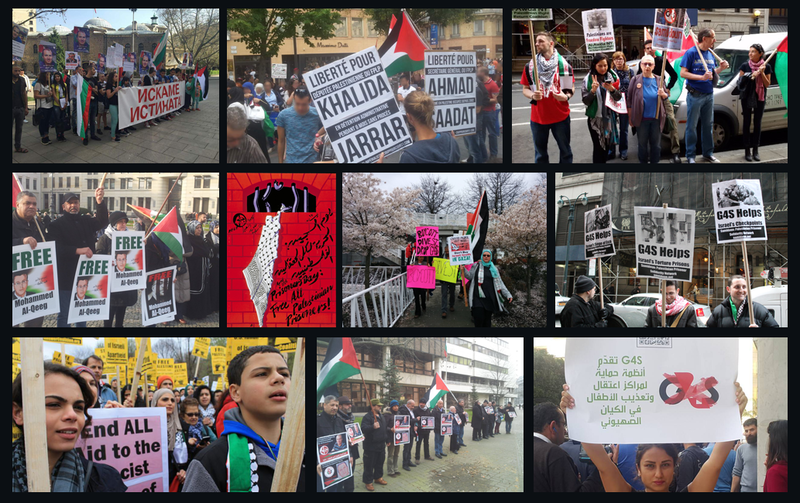 Samidoun Palestinian Prisoner Solidarity Network demands the immediate release of Mohammed al-Qeeq and urges international action and pressure for his freedom and that of his fellow Palestinian prisoners, including imprisoned Palestinian journalists.